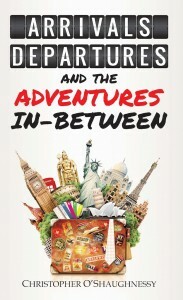 Here’s a book that is truly one of a kind on the subject matter of third culture kids. As a military kid, Christopher O’Shaughnessy understands living between worlds and cultures, while trying to figure out the identity as a third culture kid. He has a gift to write in a way that words on the page seem to just come to life. His memorable stories are hilarious, and yet at the same time they drive a point that will be remembered well after the book is put down. O’Shaughnessy grew up between the UK and the US. His witty stories help the reader to understand that though both countries speak “English” the cultures are not the same – nor are their beliefs on what the U.S. calls Independence Day. He understands what it is like to always be the foreigner, even in his passport country. He shares stories that highlight the skills that many TCKs develop as they grow up overseas; such as confidence in change and the ability to recognize cultural norms just by observing others around them. O’Shaughnessy also deals with the challenges of being a TCK. He wants the reader to see how the challenges can be faced and worked through. He knows that it’s easier to just leave and let be with each move instead of working on building community. He even points out that pride sometimes gets in the way – that those proud of their TCK-ness sometimes look down on those who never left their home country. He shares how TCKs can learn from others skills that they may lack due to their own challenges. I really like how he ends the book noting that globalization is growing each year and that “the world is catching up to the TCK experience”. He asks the question, “what do we do about it?” – and gives some ideas. O’Shaughnessy takes the knowledge about TCKs and moves it forward to the future. He is like a clean stand-up comedian with valuable knowledge for TCKs and anyone working with them.